A proposal to merge University of British Columbia’s Graduate School of Journalism with the university’s library and information sciences program has been put on hold. Alfred Hermida, the director of UBC’s Graduate School of Journalism, told J-Source that the acting Dean of Arts decided not to take the current proposal for the merger forward due to the lack of sufficient support for the plan. Any further discussions will resume when Dean Gage Averill resumes his position in July. 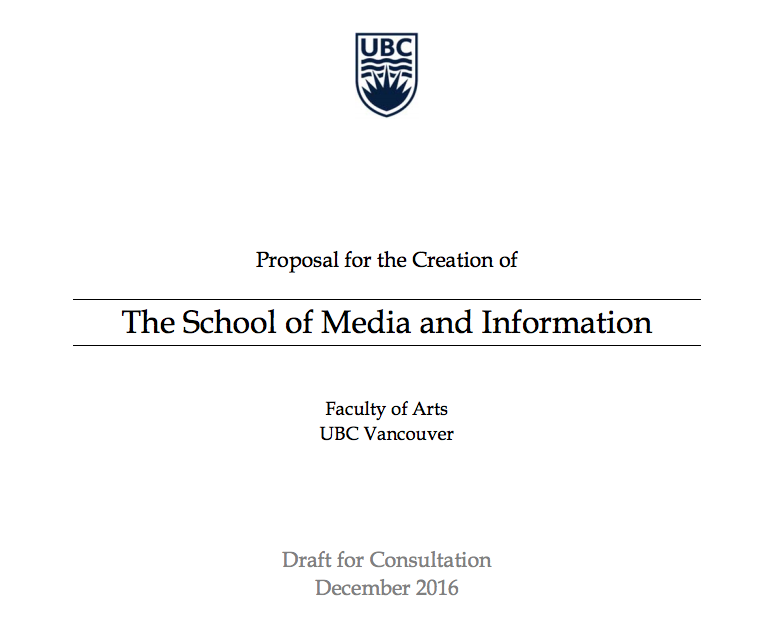 A proposal made public in December 2016 detailed plans to merge UBC’s Graduate School of Journalism with the School of Library, Archival and Information Studies (known colloquially as the iSchool) into a new school called the School of Media and Information. The new department would offer the same programs currently offered by each school separately, as well as a Bachelor of Media Studies, which was introduced at UBC in 2014. The proposal included a tight timeframe — the new school was to be established by July 2017. It shocked some students and alumni. Hermida, who initially spoke with J-Source in early 2017, said that while UBC’s journalism program is a very successful one, it’s also very small. “In the grand scheme of things at UBC we are a small graduate program, and small graduate programs don’t have the same institutional heft as larger departments.” UBC’s student population is more than 50,000 people — Hermida says there are just 71 students currently enrolled in the two year masters program. The inclusion of both the iSchool and the undergraduate program would offer opportunities for resource sharing, said Hermida, and in some cases, open up new avenues for funding. “When you start doubling what you do at the undergraduate level, than suddenly that has resource implications, because you have more students, which brings in more money,” Hermida added. On the flip side, people in information and library science field also had their own concerns about the potential merger. However, as the merger is now on hold, Hermida said it will be business as usual in the 2017-2018 academic year.